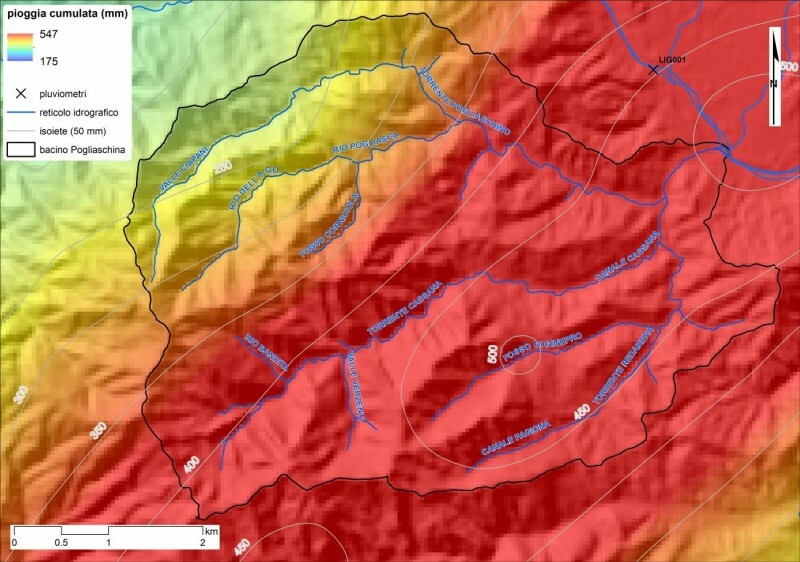 Investigation of the hydrological, hydraulic and geomorphological processes and the associated hazards in the Pogliaschina catchment, Vara Valley, northern Italy. 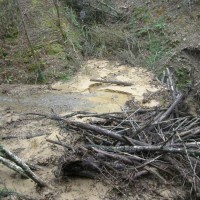 The occurrence of flash floods in mountainous catchments is often associated to relevant geomorphic effects, both in the channel network (channel changes and transport of large wood), and on the hillslopes (landslides and soil erosion). The concomitance of flash floods, channel changes and landslides enhances hazards and risk associated to individual processes. 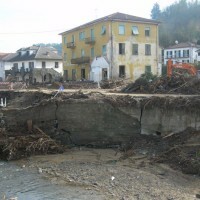 The aim of the study was the analysis of the flash flood and landslides of October 25, 2011 in the catchment of Poglischina Creek (Liguria), the update of hazard map and the definition of risk attenuation measures. Application of morphometric indexes of sediment connectivity. 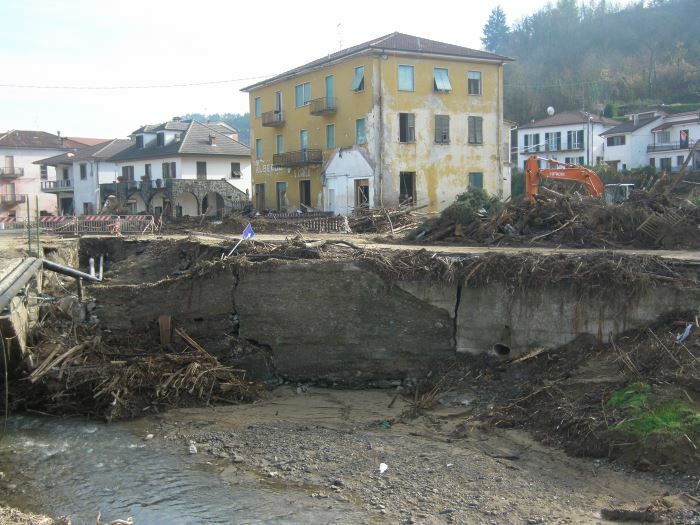 Study results include the assessment of catchment flood response, the characterisation of geological, topographical and land use factors controlling landslide distribution, the evaluation of volume and source areas of large wood transported by the flood. A technical report and a GIS project have been prepared. 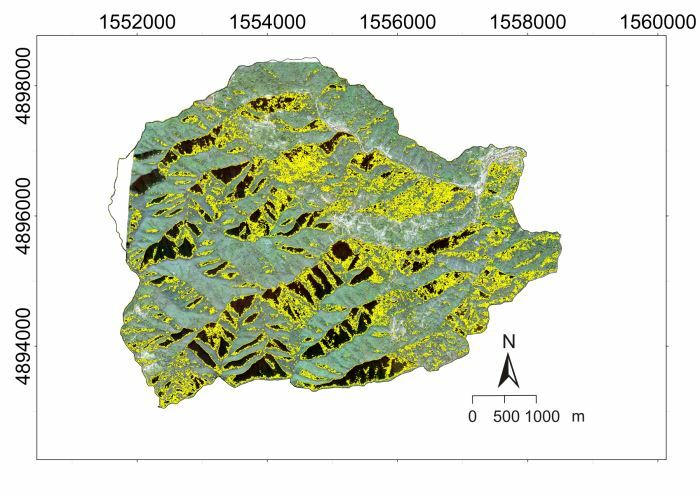 A research paper compares the inventory maps of event landslides implemented through aerial photo interpretation and semi-automatic analysis of satellite images. 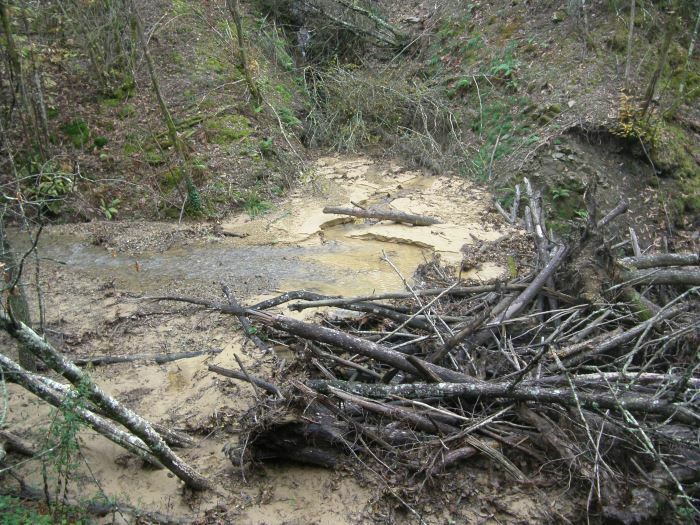 The integrated approach devised has proved adequate for the analysis of a major flash flood in a catchment representative of conditions frequently met in the considered region. Dipartimento Territorio e Sistemi Agro-forestali, Italy. Universitad Autonoma de San Luis Potosí, Instituto de Geologia – Facultad de Ingegnería, Mexico. Libera Università di Bolzano, Facoltà di Scienze e Tecnologie, Italy.